Thank you for visiting the website home of the Happy Hangar Cafe'! Fly in or drive in to great food, flying and fun! 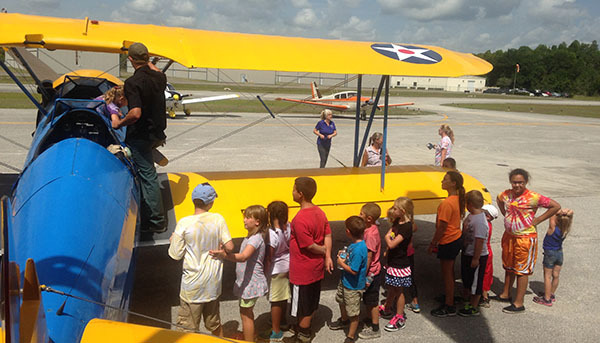 Located at Tampa North Flight Center, The Happy Hangar Cafe' is a great place for a business lunch or a family outing! While you are here you can enjoy one of our original menu items, then take a flight with us in one of our vintage airplanes!